Steven Tyler is using the 2018 Grammy Awards to host a charity viewing party to benefit his Janie's Fund organisation. The Aerosmith frontman launched the charity, which helps girls who are abused or neglected, in 2015 and now he has teamed up with bosses at Live Nation to launch the inaugural Janie's Fund Gala and Grammy Awards Viewing Party at RED Studios in Hollywood, California on January 28. The evening will also include a dinner, live auction, and a performance by Tyler and his band Loving Mary, all to raise money for the musician's fund, which is named after Aerosmith's hit Janie's Got a Gun. "This gala is more than a night out, it's a break on through to the other side for these girls whose lives have been stunted," reads a statement from Tyler. "It's an opportunity to learn of the valuable work we will be doing to get them there. It's time to bring the awareness out of the darkness and into the light for these girls, for all to see." News of the Grammys gala emerges weeks after the rocker opened Janie's House, a safe haven for abused and troubled girls in Georgia. "It takes young girls in and it's got a staff, and it's got some therapists, and it's got people for them to talk to," Tyler said upon the centre's launch last month (Dec17). "When girls come in and they're broken and battered, it's a place for them to go." 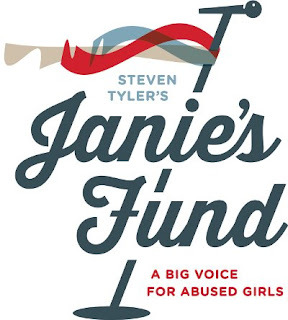 Janie's House, which can offer refuge and therapy for 30 girls at a time, is the first safe haven launched through Janie's Fund.